Have you ever wanted to own a periodical? Speaking from personal experience, it can be kind of cool, and that’s coming from the co-founder/co-editor of a Web-only publication with just over a year beneath its belt. One can only imagine the wealth, prestige, and excitement that comes along with owning a piece of the free magazine that’s infamously asked metro Milwaukee dive bar patrons the all-important question “Where are you going tonight?” since 2003. For one lucky Craigslist customer with $190,000, that dream can become a reality. Yes, you can own Wassup! 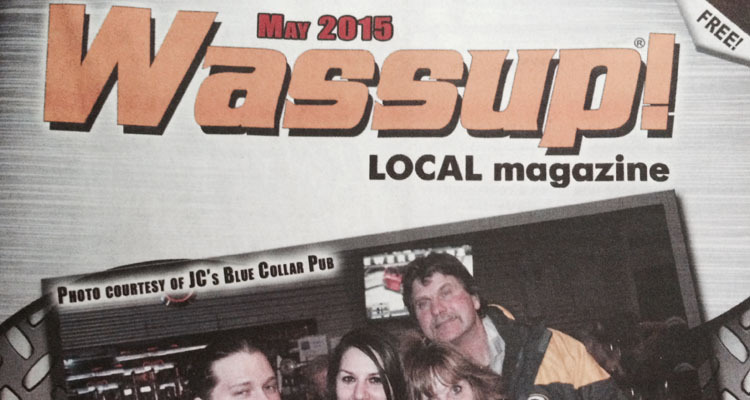 Local Magazine‘s Northern division. Made In Milwaukee‘s Chuck Watson first brought this exciting investment opportunity to our attention Monday. Astoundingly, the magazine’s Northern division (which covers parts of Lake, Kenosha, Racine, Milwaukee,Walworth, Waukesha, and Madison counties) has been listed for sale on the online marketplace for close to a month and has yet to be claimed. For a roughly half the price of Milwaukee cocktail institution At Random, Wassup!—South Milwaukee dart league participants’ answer to The New Yorker—can be under your creative control. In fact, an “immediate takeover” is directly specified in the listing.